Richmond Beach Congregational Pastor Paul Ashby is on a trip to six Asian nations with support from a Lilly Endowment Sabbatical Grant. Ashby’s trip to Penang, Malaysia; Colombo, Sri Lanka; Phnom Penh, Cambodia; Hanoi, Vietnam; Chang Mai, Thailand; and Taipei, Taiwan is taking him away from the church for January and February. He says that his goal will be to go into regions where messages of rejection and judgment against other faiths have historically been promoted and to share in dialogues about the compassion of the Jewish rabbi named Jesus of Nazareth. He said he would base his dialogues on a theme central to Richmond Beach Congregational Church: "Peace, Respect, and Love in Action." Ashby said that his inspiration for this mission project was spiritual writer and Trappist monk Thomas Merton, who, in the late 1950s, was a pioneer of interfaith dialogues across many faith groups. He noted that Merton provided a method based on sharing common ethical values, speaking respectfully about differences, and reflecting on ways different faiths open the human heart and consciousness to compassion, mercy, service to the poor, and forgiveness. Merton also added the humble recognition that no one has all the answers. Following the influence of Merton, Rev. Ashby will have public interfaith dialogues with religious leaders who are Muslim, Hindu, Buddhist, Jewish, and Daoist. He and his wife Pam will also be visiting temples, mosques, and synagogues in various cities. This Lilly Endowment grant follows three decades of interfaith outreach and peacemaking for Rev. Ashby. Richmond Beach Congregational is a part of the United Church of Christ. Before coming to Richmond Beach Congregational, Ashby led a church in Tulsa, where he received a community service award for helping Tibetan Buddhist refugees. The Oklahomans for Equality awarded him the "Spiritual Inclusion" award for leadership in creating peace and understanding among faith groups, and he received a postdoctoral fellowship to study Asian religions at Harvard University. 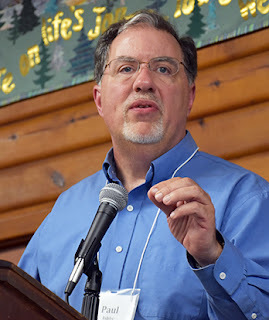 In addition to his service as pastor of RBCC-UCC he has been elected twice to serve as vice president of Seattle Soto Zen and he has received the honor of being a lifetime member of the Vedanta Society of Western Washington. While Rev. Ashby is traveling, a number of lay ministers and ordained pastors conduct worship services at Richmond Beach Congregational.